Sisters are among the world's greatest gifts. Admittedly, I'm partial. 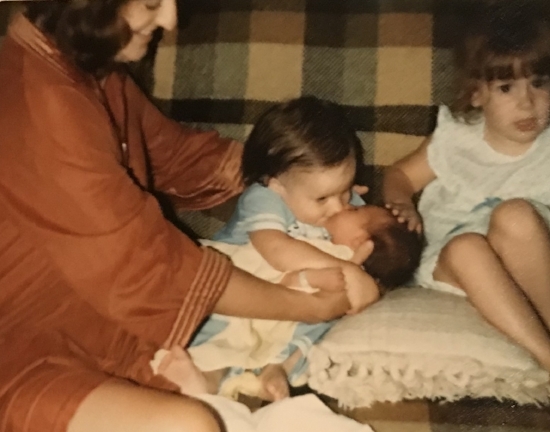 As the middle of three sisters, who now has three little girls of her own, sisters are all that I know. And I count myself lucky. Together, sisters learn everything there is to know about... well... everything. In this sacred relationship, you share millions of giggles and hugs, but are also completely safe to disagree and (when your parents aren't watching) fight and hit and scream. Because you have all of the same memories, your baby books could be interchanged without notice. Your lives are completely intertwined. My three girls have their own dynamic. In some ways, I expected their patterns and behaviors to mimic those of me and my sisters, but their rhythms are unique. The common thread, though, is the bond. 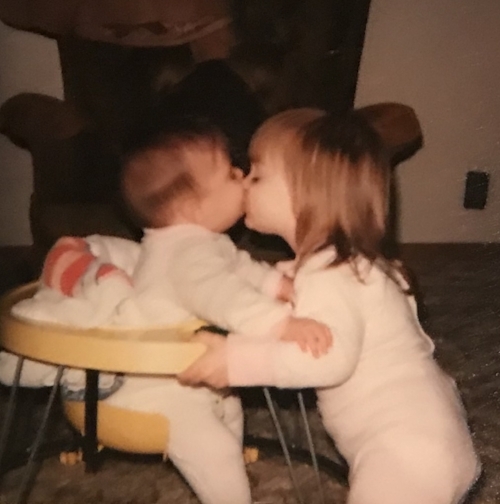 The unshakable, proud, fierce only-I-can-mess-with-my-sister bond. It is, therefore, no surprise that Big Sister, Little Monster by Andria Warmflash Rosenbaum (illustrated by Edwin Fotheringham) hit such a chord with me and my girls. 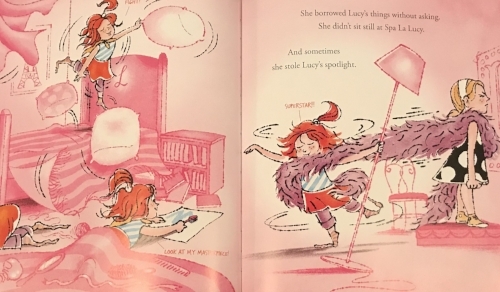 In this new title, we meet big-sister Lucy and tag-along Mia. Lucy is a certified big girl, and Mia is a certified monster. Where Lucy is measured and proper, Mia is wild and untamed. Finally, Lucy has enough of Mia's antics. "You little monster... GO AWAY!!!" Lucy screams. Mia-free peace is blissful at first, but not for long. Things get quiet. TOO quiet. Lucy goes looking for Mia and uncovers a secret door, which leads to Mia and her Monsters - slimy, grimy creatures who wish to keep Mia forever. When they refuse to let Mia go, Lucy lets HER monster out. 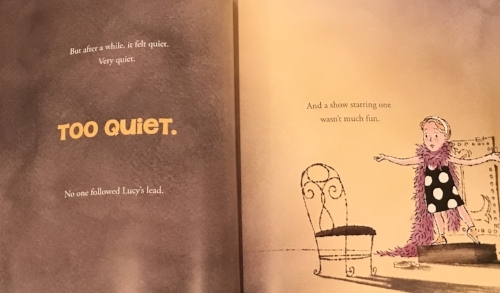 In Big Sister, Little Monster - and in the stunning, lyrical picture book Trains Don't Sleep - Andria Warmflash Rosenbaum masterfully drives story forward. Every spread reveals something new and important for fully understanding her worlds. On top of this superb pacing, Big Sister, Little Monster bursts with color, energy and heart from beginning to end. Thank you, Andria, for bringing us Lucy and Mia. 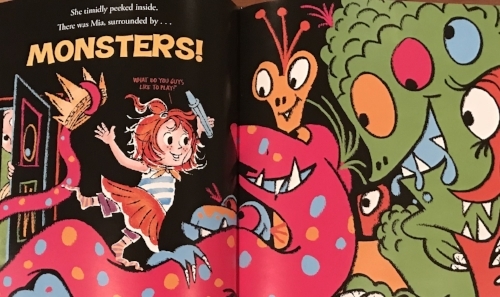 As this adorable new picture book pair proves, whether little monsters or full-grown women, sisters will always be sisters. Big Sister, Little Monster can be purchased in bookstores nationwide, as well as online through the bookseller of your choice. You also can enter to WIN an autographed copy from Andria Warmflash Rosenbaum through my Twitter page and blog!